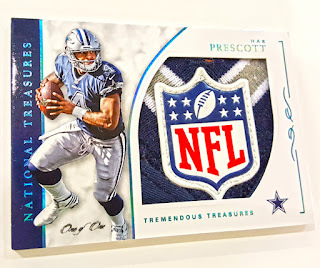 Panini America’s National Treasures Football franchise is a trading card icon that revolutionized the high-end collecting game, raising the bar of what’s possible with super-premium football releases. 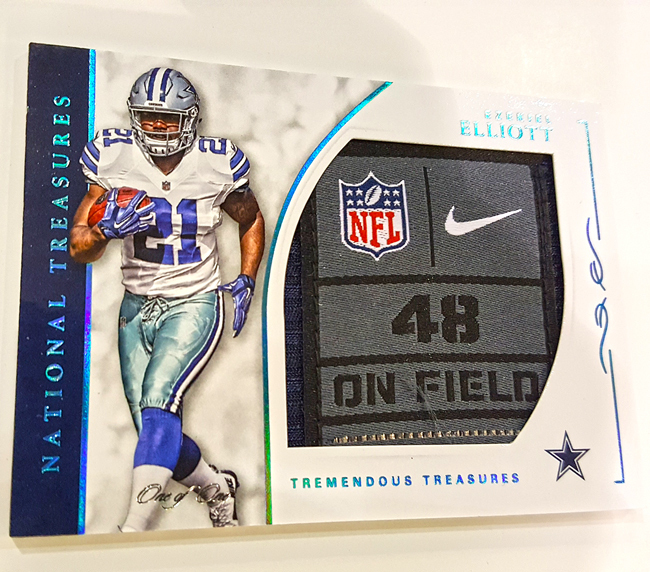 When 2016 National Treasures Football arrives Friday, March 24th, the product will be both a tribute to the 2016 season and a tribute to the 10th anniversary of the fabled NT brand. On average, each box of 2016 National Treasures Football will deliver three autograph cards, three memorabilia cards and two base or parallel cards numbered to 99 or less. Fans and collectors can chase the calling-card National Treasures Rookie Patch Autographs numbered to 99 and featuring jumbo-prime memorabilia pieces and on-card autographs. There are also Brand Logo, Jersey Number and NFL Shield 1/1 parallel versions. 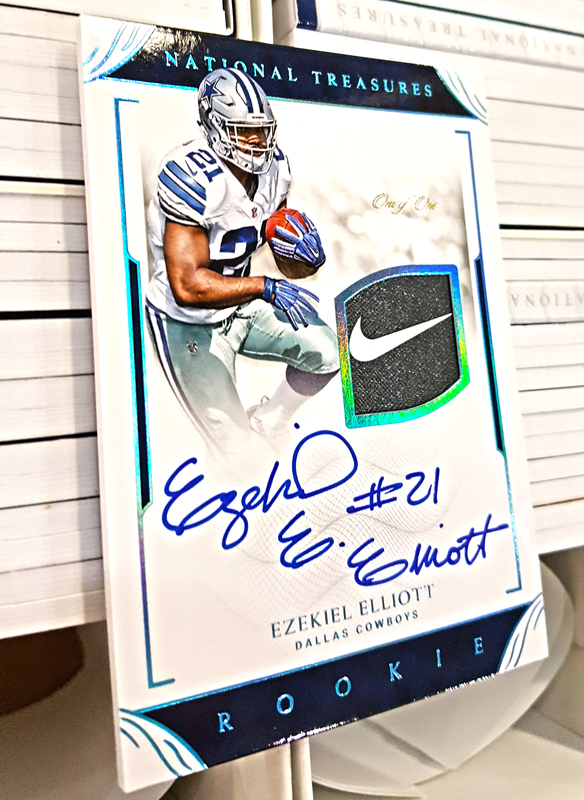 --- The new 10th Anniversary Rookie Autograph Patches printed on acetate and numbered to 10; also look for NFL Shield 1/1 versions. 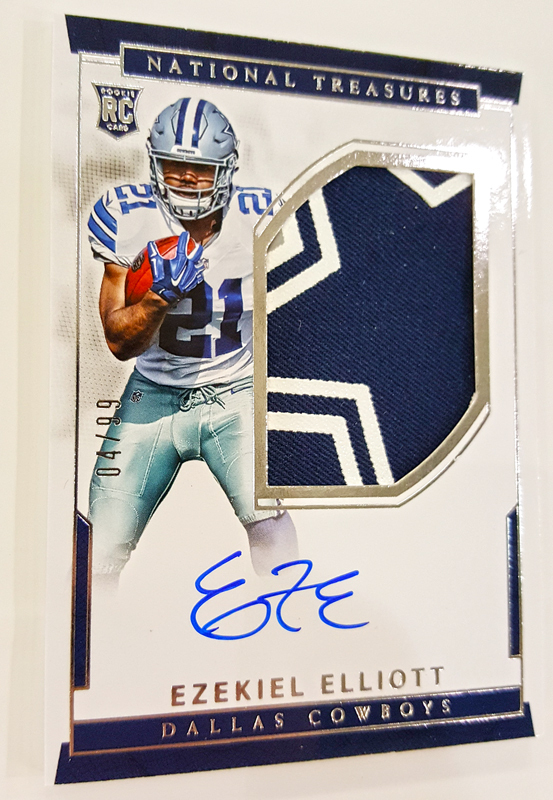 --- Collect the Retro Treasures version of past Rookie Autograph Patches from the last 10 years. All are printed on acetate and numbered to 10; also look for Super Prime 1/1 versions. 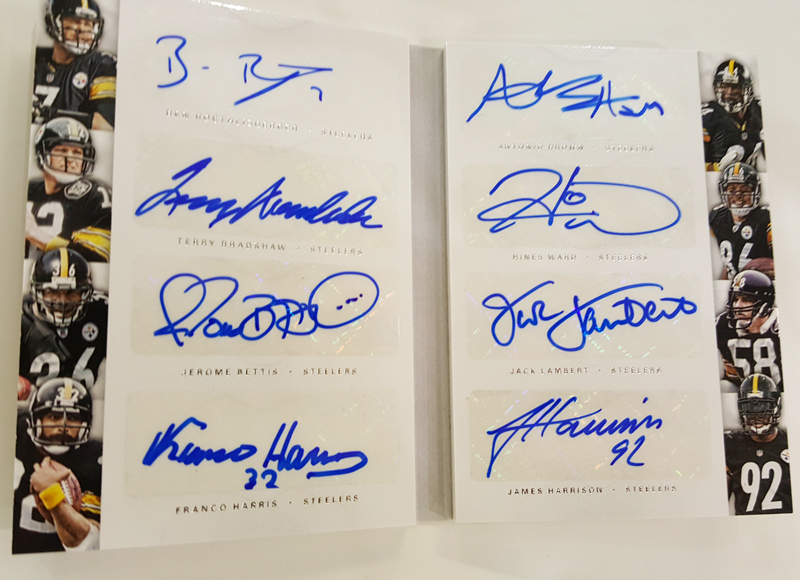 --- The All-Decade Signatures and All-Decade Memorabilia sets, featuring a star-studded checklist of legends and current veterans all numbered to 99 or less. --- Exceptional memorabilia cards in the Colossal Pro Bowl Materials, NFL Shields Dual, Captain’s Patch, and Treasure Chest Booklets insert sets. --- Treasured Signatures and Treasure Chest Signatures featuring eight and 12 autographs per card, all numbered to five or less. 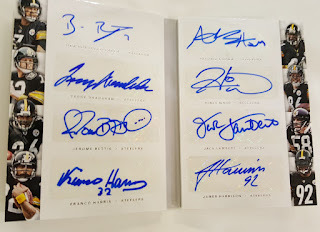 Scion Signatures featuring on-card dual signatures of past and present NFL stars, all numbered to 10 or less. 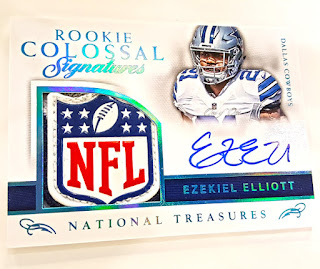 --- Collect star veterans, retired legends and rookies in Colossal Signatures, Veteran Treasures and Material Signatures including Laundry Tags, Brand Logos and NFL Shield 1/1s. 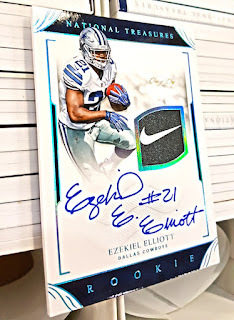 --- The stunning new Gridiron Graphs insert features on-card autographs and a dynamic booklet design on cads numbered to 10 or less.